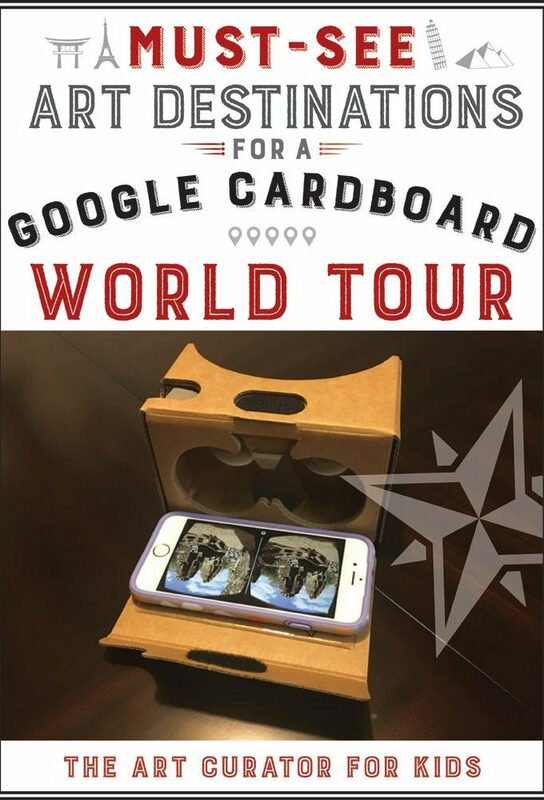 Inside: Planning a field trip? 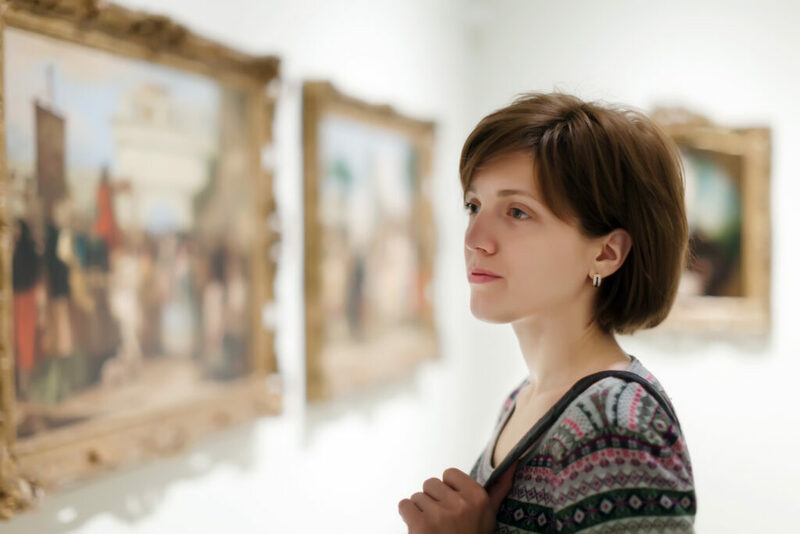 Here’s everything you need to plan a successful art field trip to a museum this year–from managing field trip chaperone behavior to scheduling the buses to preparing your students. I know. I know! Planning a field trip can be a stressful nightmare. Coordinating with administrators, obtaining transportation, getting permission slips, collecting money, keeping track of students, recruiting chaperones, planning with the museum, and more. The list of to-dos for art field trips are nearly never-ending. You should take your classes to an art museum. There will be paperwork and headaches and hassles, but planning a field trip is all worth it. Seriously. Let’s talk about why to do it and, more importantly, how. Seeing art face to face is a singular experience. 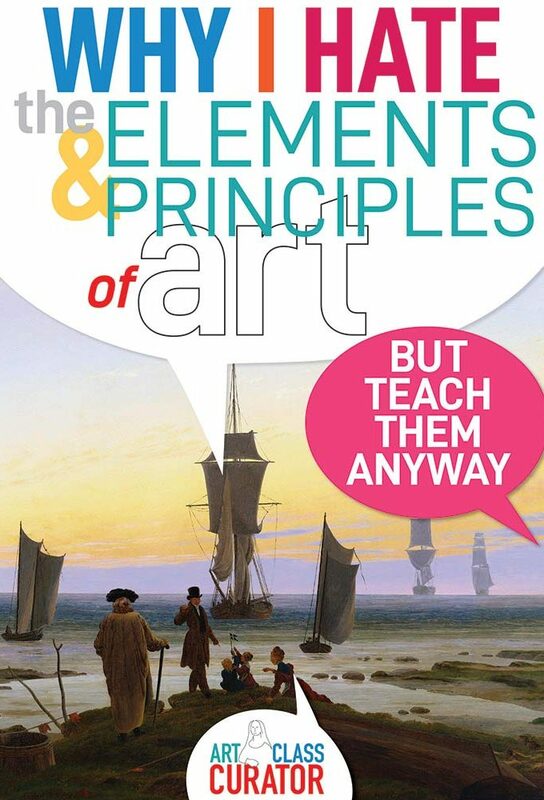 There is no way to replicate seeing an artwork in person in a classroom. There’s just not. We can do a lot with hi-resolution projectors, updated textbooks, and full-size posters. 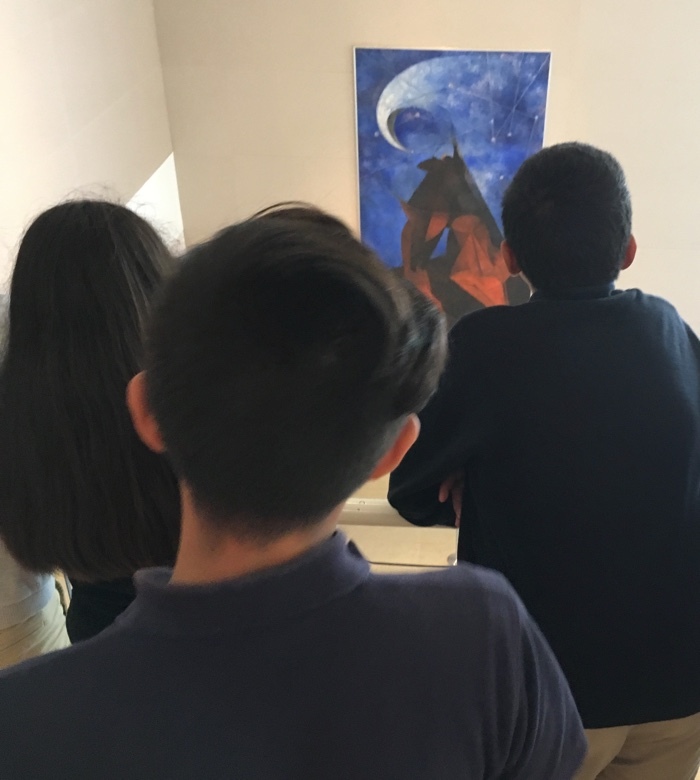 Our students can and will connect with the artworks we show them at school, but they deserve to lose their breath and feel the goosebumps that only happen when interacting with art directly. Textures and tiny details that are lost by a lens or scanner come to life under museum lights. 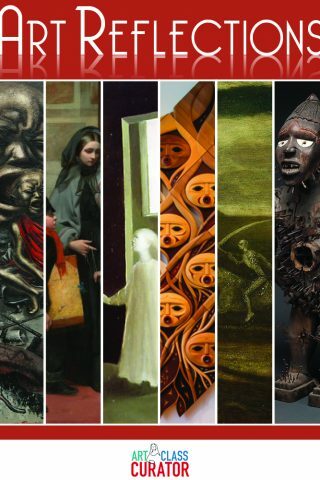 Artworks we’re familiar with can astonish and surprise us when we see their true scale. When I saw Picasso’s Guernica in person, I became utterly transfixed by the depth and texture of the paint and the enormous scale of the composition. The terror and heartbreak were inches away. I could see it all with devastating clarity. The emotion and impact of Guernica reached me through pictures, but I literally could not walk away when I saw it in person. My perspective shifted forevermore thanks to an experience that was impossible to achieve via screen or reproduction. 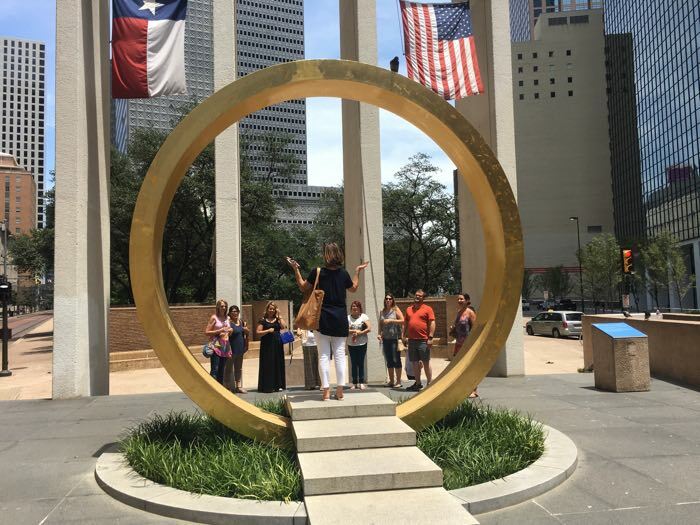 An art field trip can open our students eyes to the varieties and possibilities of art. 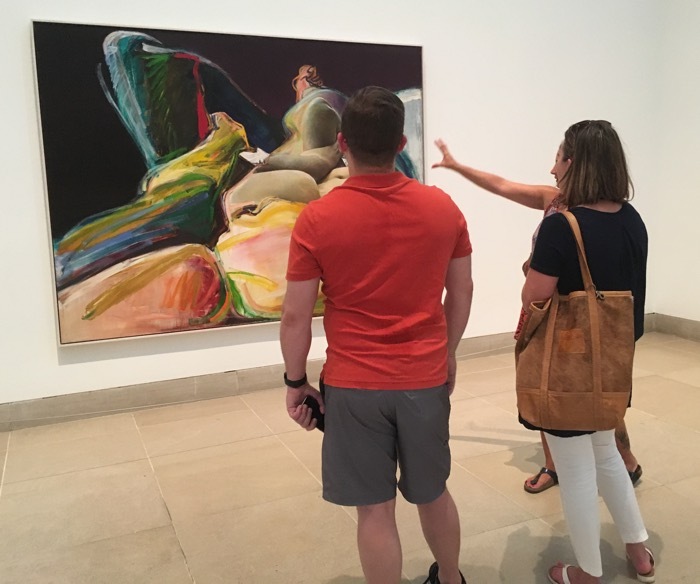 Museums allow them to walk through history and dive into the expanse of human expression and experience cultures both familiar and otherwise firsthand. Art has the power to change lives. I’ve talked before about a museum trip that changed the course of my life. An art field trip helps mold our students into world citizens, igniting their curiosity and infusing their futures with wonder and delight. Learning isn’t limited to the classroom and museums offer students a perfect chance to forge connection internally and externally, with their world and their peers. Classmates will converse with one another and their museum guide, making new meaning and gaining new understanding. These social and communication skills will serve them throughout their lives. Are field trips worth it? Budget cuts and a heavy focus on test-taking skills have made field trips seem like an unnecessary luxury rather than an important education tool. Across the country, out of school excursions are becoming less and less common, but the importance of field trip cannot be overstated. Students learn an amazing amount from taking their learning outside of the classroom. 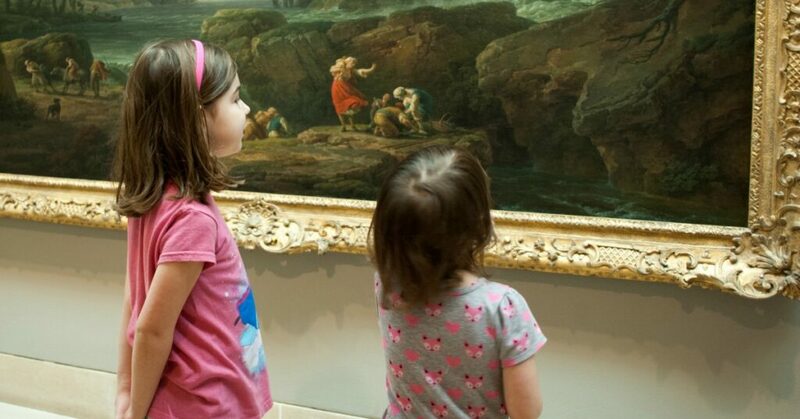 A recent study showed field trips help students develop into “civilized young men and women who possess more knowledge about art, have stronger critical-thinking skills, exhibit increased historical empathy, display higher levels of tolerance, and have a greater taste for consuming art and culture”. In short—yes, that art field trip you’ve been thinking about is 100% worthwhile. It’s time to clear your throat, don your strongest teacher voice, and get ready to put your ducks in a single-file line. There’s no such thing as being too prepared when it comes to planning a field trip. Please note, this post includes Amazon affiliate links. 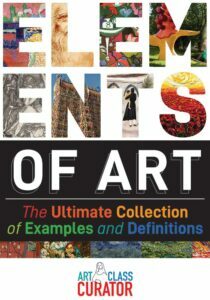 Purchases made through these convenient links help support Art Class Curator at no additional cost to you. Check with your front office or school administration and find out what information you’ll need for planning a field trip. Usually, you’ll need to provide an itinerary of your trip. Be aware, some schools are sticklers and want near minute-by-minute schedules. Tip: For middle and high school students, add some time to the end of the art field trip for students to walk around the museum and look on their own—still supervised by chaperones, of course. 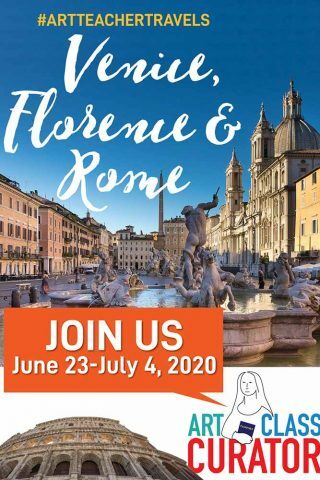 This is also a good time to find out what dates you’ll need to avoid planning a field trip on—testing dates, other field trips, assemblies, and so on. Be sure to ask when you’re allowed to leave and what time you’ll need to be back. Often, field trip times are limited by bus schedules and pickup times. What time should you arrive with students? Where do you enter the museum? Where can you eat lunch? Are there any museum policies regarding food that you need to be aware of? Can students go into the gift shop? 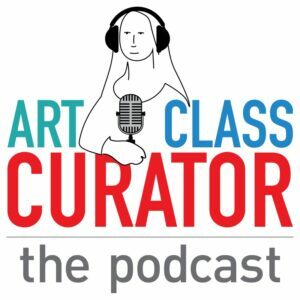 Talk with your front office about funding your art field trip. 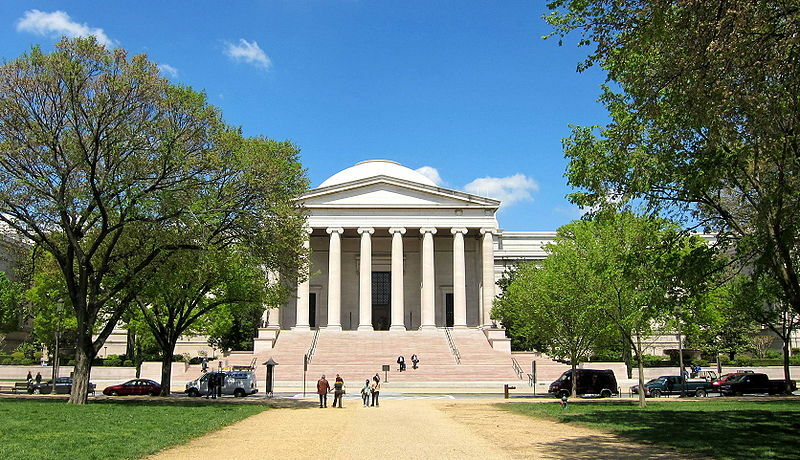 Art museum visits are usually free, but someone needs to pay for the bus. Figure out if the school or district can pay for it or do you need to collect money from the students. Divide the amount needed by the number of students going to get the amount each will owe. If you teach at a low-income school, ask the museum if they know of any grant possibilities for funding buses. Ask your school about the best method to collect funds. Some schools do not allow teachers to give students change, in which case you’ll need to ask students to bring the exact amount. If you are allowed to make change, keep a bunch of $1 bills on hand. Keep meticulous records of the money collected. Receipt books are an easy way to keep track and can be purchased cheaply from places like Wal-Mart, Target, or an office supply store. This will make keeping track of all the money paid and owed. Trust me, you’ll be glad to have it when a student insists they already paid. Tip: Round up the amount needed from each student so you don’t have to collect change. Get a big envelope to hold the funds and keep them locked in your desk or file cabinet. Ask your front office if they want it all turned it at once or at the end of each day. Print a roster of all of the students who are supposed to go on the trip to keep alongside your envelope. Make two columns alongside each name, one for money and another for permission slips. Tip: Immediately check the appropriate column when a student turns in their money or permission slip. That way, you’ll know you didn’t forget. Make sure you follow your school’s protocol for sending and collecting field trip permission slips. They should have a standard form you can use. Set a deadline for your students to turn in permission slips well before the field trip and write the deadline across the top in huge, bold letters before you copy and distribute it to students. Tip: Make extra copies of the field trip permission slip, because students are going to lose them. With the field trip form, send a letter to the parents about the field trip. As a parent, I sometimes get random permission slips with no information and am lost trying to figure out what it’s for. Write a little note about how excited you are to take the kids to the museum and staple it to the field trip permission slip. Tip: If parent email addresses are available, send a copy of the letter and permission slip that way so they’re more likely to see and remember it! First, figure out who is responsible for scheduling the bus. Do you do it? Does your front office do it? Does the district do it? Even if you think you know, double check! Once the art field trip is scheduled, get the bus scheduled as soon as possible. When planning a field trip, be sure to factor in driving time, getting on and off the bus, and any possible traffic into your decisions about when the bus should arrive for pickup. Important: Triple and quadruple check that the buses are actually scheduled. I can tell you from personal experience, it is devastating to have an entire group of fourth graders lined up for a field trip to the art museum only to discover you have NO BUS despite them being booked in advance. When the bus arrives, be sure to get the name and cell phone number of the bus driver, as well as the bus number. You don’t want to be lost in a maze of buses with students in tow or be late getting back to school because you can’t find your driver. Tip: Be super friendly to your bus driver. They deserve it and it will make everything easier. Will you be back in time for lunch or do you need to bring lunches? Work with the front office and cafeteria staff to plan sack lunches for your students. Do the students need to order their sack lunches in advance? If so, get the form to send home alongside the parent letter and permission slip. For students packing lunches, it is best to put their lunches in disposable containers so everything can be thrown away and you don’t have to worry about kids losing their favorite lunch box. Will the museum allow you to store lunches somewhere inside or will they need to stay on the bus? Where will you eat lunch? The museum staff can tell you where to go. If they don’t have a designated courtyard or cafe, consider visiting a nearby park. Will you allow students to buy food? 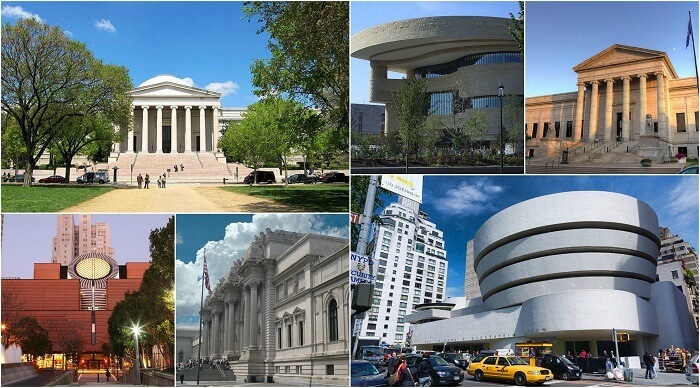 Many museums have a cafe or are located in metro areas with nearby restaurants. For example, at the Dallas Museum of Art, there are always food trucks at a park across the street. When I took middle schoolers, I allowed a chaperone to accompany them to the park to buy lunch from the food trucks. If so, don’t forget to add that to your parent letter! Tip: Bring a big box or bag to hold everyone’s lunch in one place. A map with directions to and from the destination for the bus driver—They probably know where to go, but it’s good to have ready just in case. 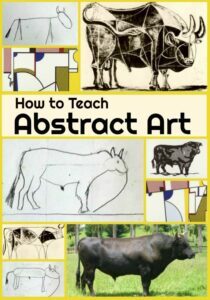 An art field trip museum assignment for the students to complete. Get creative! 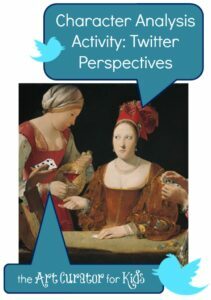 Look at the current collection on the museum website and create a scavenger hunt or bingo cards. 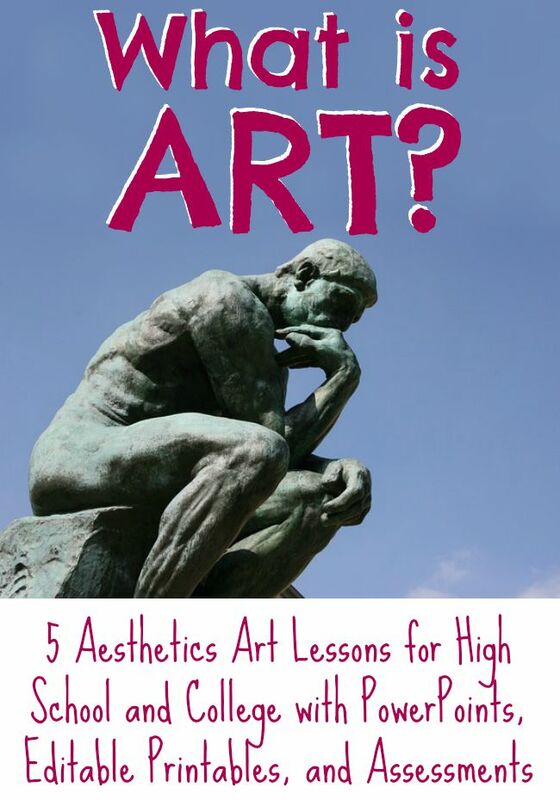 Encourage the students to interact with the artworks by using art appreciation worksheets. In addition to these things, talk with the school nurse about which students are going on the trip to find out if any medications or special precautions are necessary. Tip: One thing not to bring—student backpacks. Once you know how many field trip chaperones you need, recruit other teachers and parents. Your school or the museum you’re visiting will likely have their own guidelines for you to follow. As a rule of thumb for museum tours, be sure you have at least 1 adult per 12-15 kids. Print personal copies of all the information each field trip chaperone will need—times, when and where to meet, the bus number, names of children they will watch, expected behavior, and your cell number. (Don’t forget to get their cell number as well!) Put the information in a folder or on a clipboard so it’s easy to keep everything together. Tip: Save all of your field trip letters, forms, and information sheets for planning a field trip. You can reuse them next year! For each teacher going on the trip, make sure substitutes will be available to cover their classes. If there will be a sub in your classroom, plan your sub lessons. 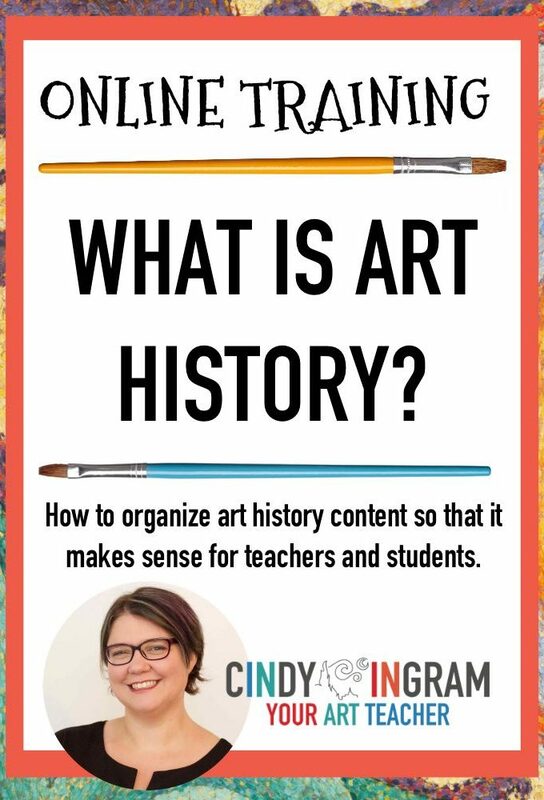 Pair an art appreciation worksheet with an artwork for an easy, mess-free sub lesson. 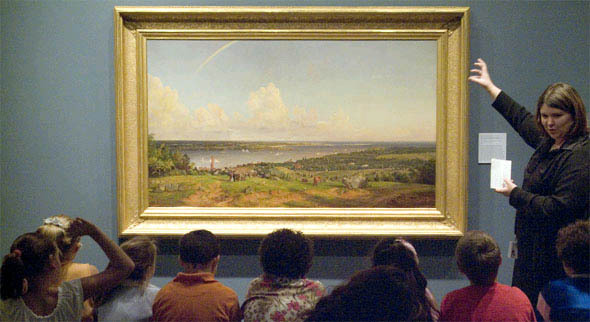 You can even tie it into the art field trip by choosing one or more artworks students will see in the museum. 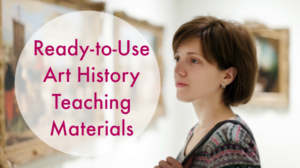 Use museum resources—museums often send great lessons and supplemental information before your art field trip. These are perfect for both pre-visit and post-visit lessons and will help students remember what they see. Tell students the schedule in advance what you’ll expect from them and and what they should expect regarding lunch, buses, gift shop, free time in the museum, etc. Repeat this information before you leave, on the bus, and when you arrive. As a former museum educator, I can tell you I rarely had an uncontrollable student groups. Students love field trips and the museum environment helps them stay in line. Nonetheless, discuss behavior in advance, plan and tell them consequences for misbehavior. Student behavior is a reflection on you and the school, so make sure to follow through on consequences if needed. Remember, if they respect you, they won’t want to make you look bad. Be sure students know that you’re watching and that all of the field trip chaperones will report back on their behavior. Don’t touch the art—keep an arm’s length from artworks at all times. Treat the docent, museum staff, chaperones, and each other with respect. Honestly, the worst behavior I saw when I was a museum teacher came from parents and field trip chaperones. 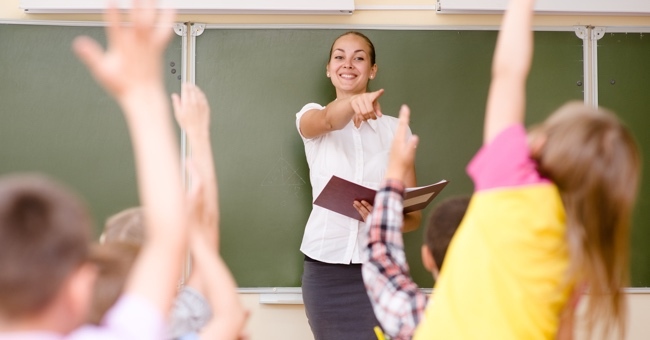 Don’t shy away from including a do and don’t list in the information you give chaperones. Talk loudly in the background with other adults. Treat the tour as a break. The museum teacher needs your help controlling poor behavior and inattention. 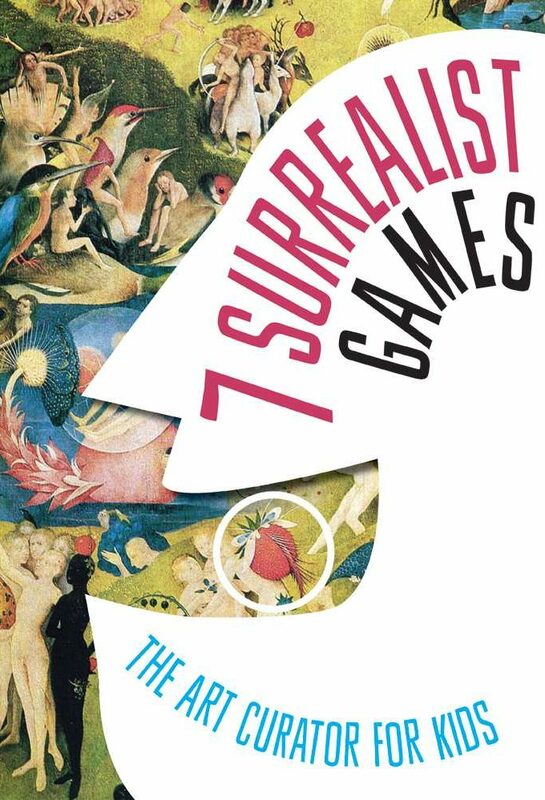 Play games or scroll through social media on your phone. If you aren’t respecting the learning and experience, your students won’t either. Direct student attention. Pay attention to who is or isn’t engaged. If someone isn’t paying attention, give them your best teacher look, stand by them, and talk to them between stops on the tour about their behavior. Model enjoyment and delight in the art. 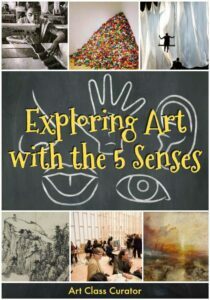 Engage with the art and the students to show them that this is a wonderful, fun experience. Know the info—who is in your group, where to go and when to be there, the bus number, etc. Constantly check to make sure all of the students in your group are present and accounted for. Count again and again. Have students write three art field trip takeaways. Ask students to reflect and write a paragraph about the experience. Follow through on the discipline plan by giving consequences for poor student behavior. 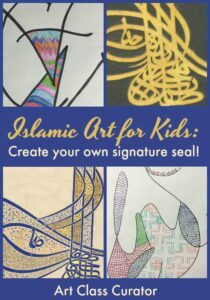 Send a follow up letter to parents telling them about the art field trip and encouraging them to visit the art museum as a family so students can show their parents what they learned. Make sure to include information and upcoming events at the museum, as well as any free admission the museum offers. When all is said and done, take time to reflect on the art field trip yourself. Take stock of what went well and what didn’t work. Take note what your students enjoyed and what you’d like to do differently next time. Breathe. Enjoy a job well done. Then, start planning your next artful excursion! 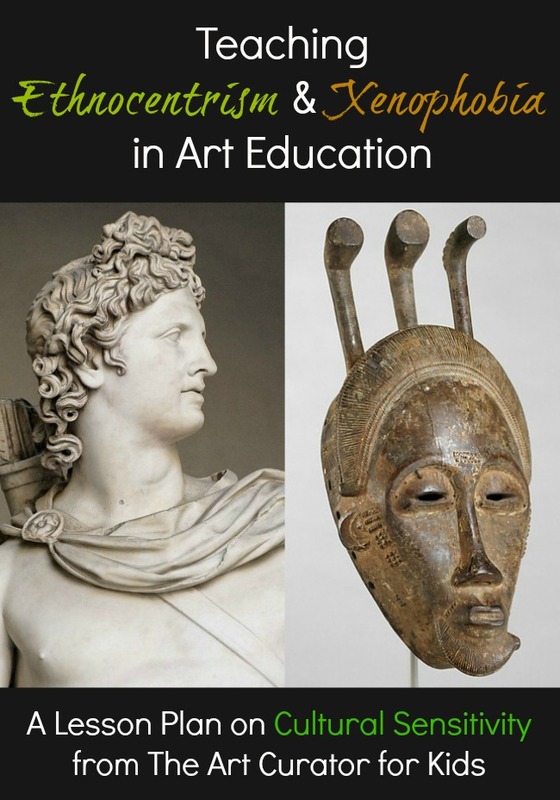 This post is a part of the Art Ed Blogger’s Network. 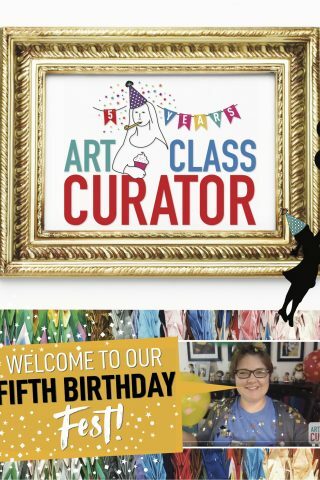 See what other art educators have to say about artful excursions below.